WOMADelaide’s Global Village provides festivalgoers with a vibrant melting pot of different cultures, cuisines, creations and conversations from around the world to enrich their festival experience. We take great pride in presenting the very best in local, interstate and international vendors across three general stall categories: Food, Retail and Not-For-Profit Display. If you would like to apply to be a part of WOMADelaide 2019 please use the links below to read the Terms and Conditions relating to each of these stall types, and then access the on-line application forms. Applications close Sunday 21 October. 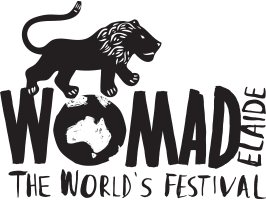 WOMADelaide is a food lover’s dream, showcasing a huge spectrum of international cuisines from The Barossa to Bangalore and Barcelona, prepared by some of Australia’s finest food vendors. Fees range from $4050+GST to $6150+GST, plus $1000 security bond. Representing Australia's wealth of talented makers and creators with an emphasis on artisanship and ethical commerce; a marketplace for beautiful mementos, unique crafts and festival essentials. Fees range from $2250+GST to $3450+GST, plus $1000 security bond. Showcasing the ideas and conversations of our nation, and a platform for organisations to connect with WOMADelaide festivalgoers. Fee of $1300+GST, plus $1000 security bond. If you have any questions prior to submitting an application or require any assistance, please don't hesitate to contact the Stalls Coordinator on (08) 7231 9952.